I do a lot of work with food and wine matching and one of the things that always gave me grief was wine and chocolate. In a restaurant setting many of the desserts are chocolate based and as a result the flavours present (things like Coffee, Blackberry, Plum, Cherry) don’t go with the lemony/marmalade characters of a botrytis Semillon or Riesling. 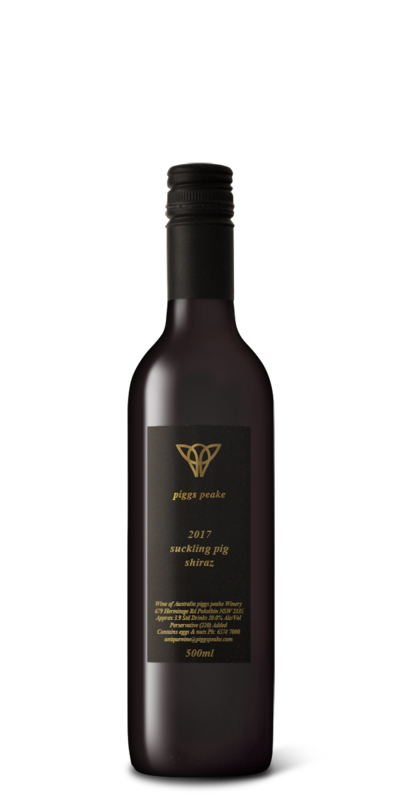 It dawned on me that it was Shiraz that had these flavours and that we needed to be making red dessert wines to go with these sorts of food and so the Suckling Pig was born. In 2017 all the fruit came from McLaren Vale where we get these big, rich colours and flavours. Just perfect for standing up to a high cocoa chocolate dessert.